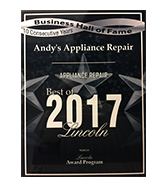 Experience: Andy’s has been in business providing appliance repair and parts since 1971. 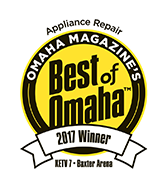 Our technicians have many years of experience and we continue to get better by sending our technicians to training multiple times per year which is why we are considered the premier appliance repair company in Nebraska. Factory Authorized and Trained: Andy’s Repair Technicians have spent hundreds of hours over many years learning Washing Machine appliance repair from factory trainers. We continue to send our technicians for advanced training on new appliances or new product lines of appliances including new technology so that we always remain current and the experts in the field. 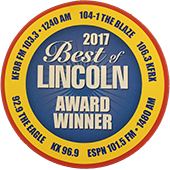 These are some of the reasons that Andy’s Appliance Repair is considered the premier appliance repair business in Omaha, Lincoln and surrounding communities. Guarantee: 1 year parts and labor guarantee. We stand by our work and get the job done RIGHT, the first time. Honest Assessment: Our technicians will diagnose the problem, give you an estimate and explain the repair so that you can make an informed decision. 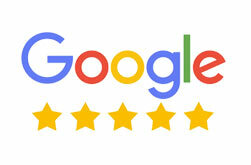 We get your approval before we do any work. Our Technicians: Andy’s technicians arrive in uniforms and in clearly marked Andy’s vans. Our employees are screened and background checked for your piece of mind. We remove our shoes / booties and place our tools on padded mats to protect your home. We are polite, professional, technically superior, always on time and stand by our work. We’ve got you covered! For Your Washing Machine Appliance Repairs – We’ve Got You Covered!